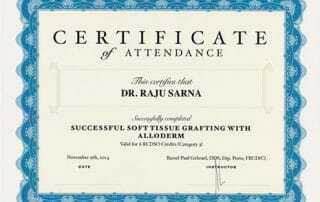 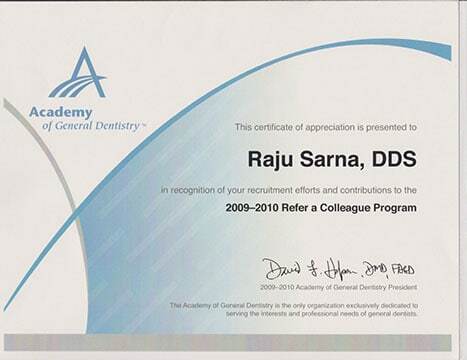 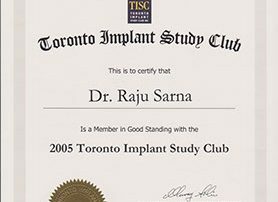 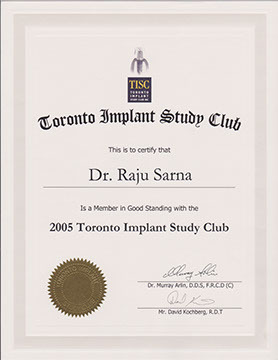 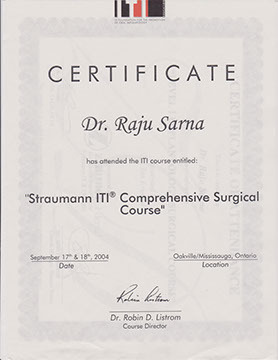 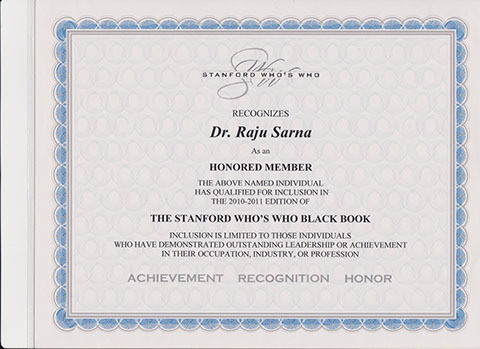 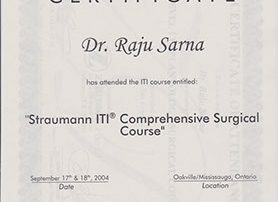 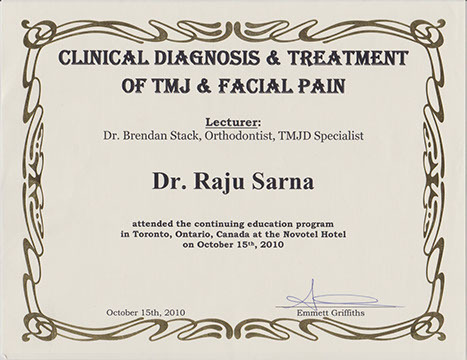 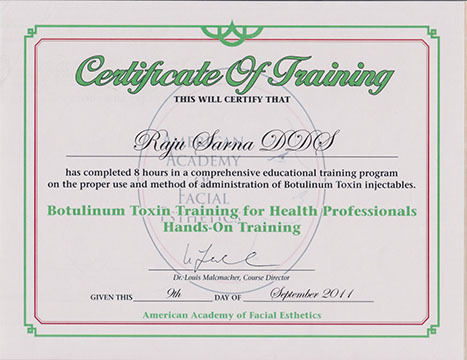 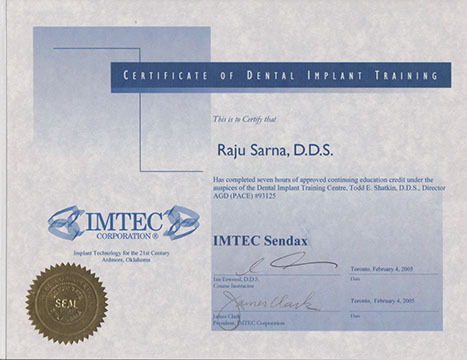 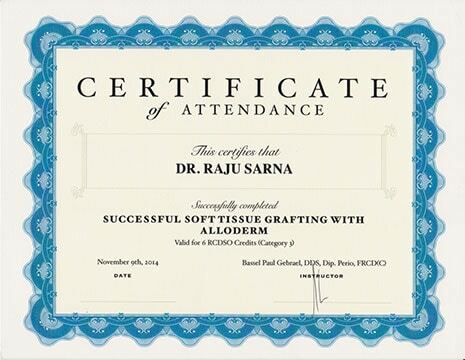 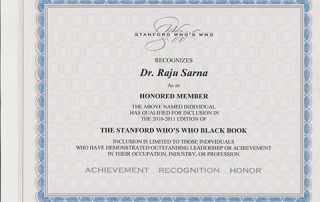 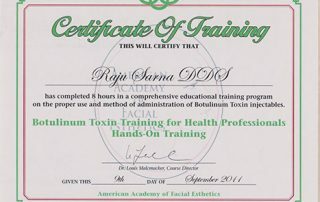 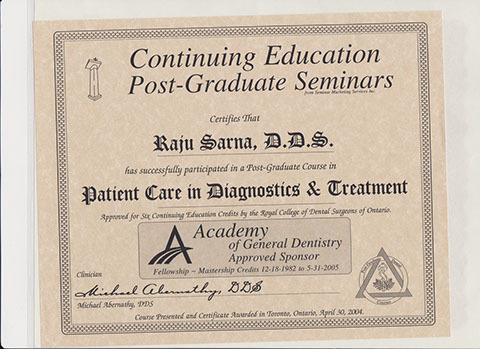 Dr. Raju Sarna is a graduate of the University of California, San Francisco (UCSF). 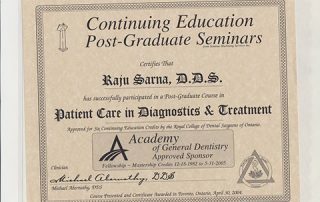 He completed his AEGD (Advanced Education in General Dentistry) at the University of California, Los Angeles (UCLA) and served as a Preceptor in the AEGD clinic. 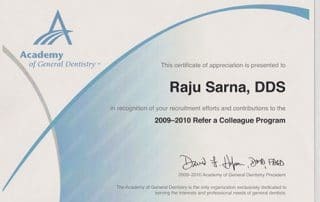 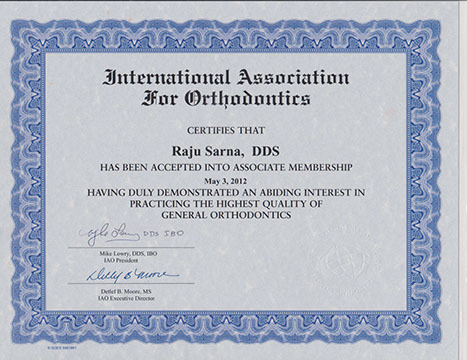 Dr. Sarna has achieved a Fellowship with the International Congress of Oral Implantology, Fellowship with the International Association for Orthodontics and a Fellowship with the Academy of General Dentistry. 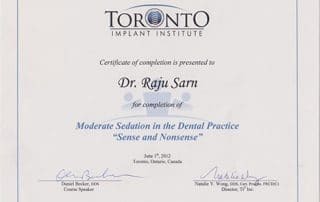 Concentrating on implant assisted dental rehabilitation and aesthetics, Dr. Sarna currently maintains a high-end boutique style practice in beautiful Milton. 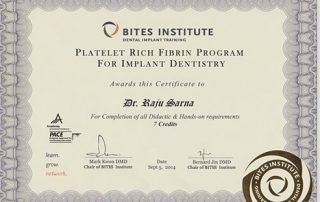 With a special interest in Implant surgery, sinus lift, bone and tissue grafts, he stays on the leading edge with continuing education. 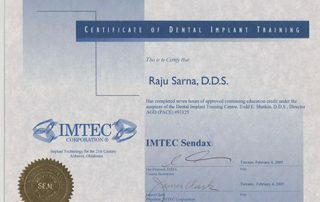 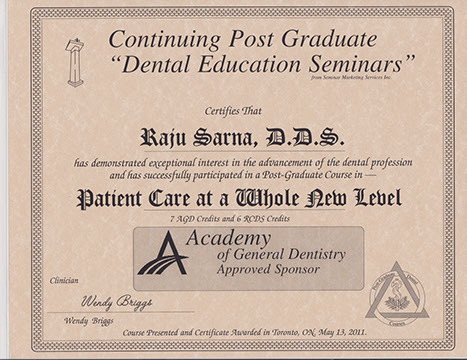 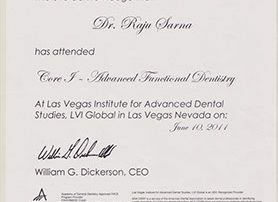 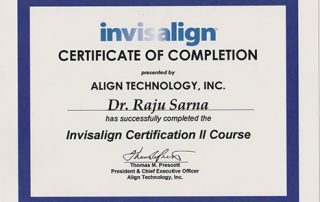 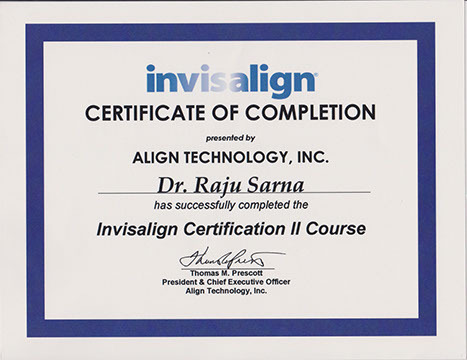 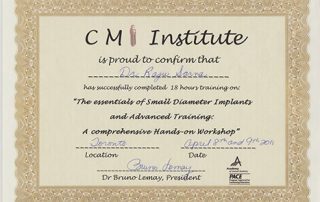 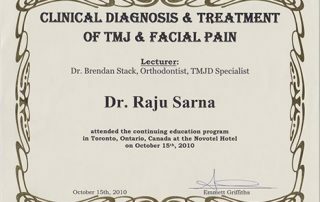 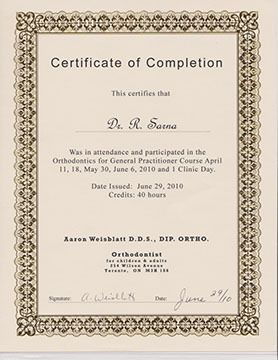 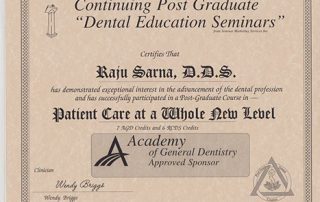 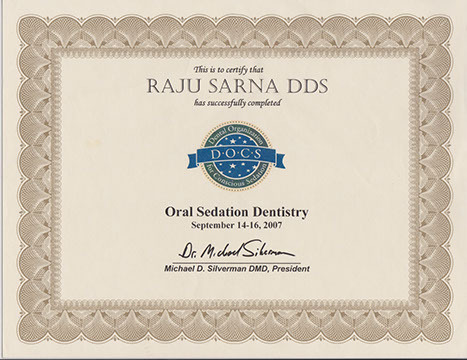 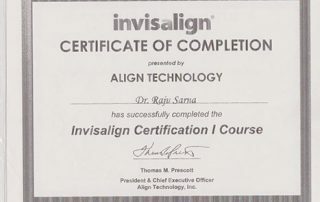 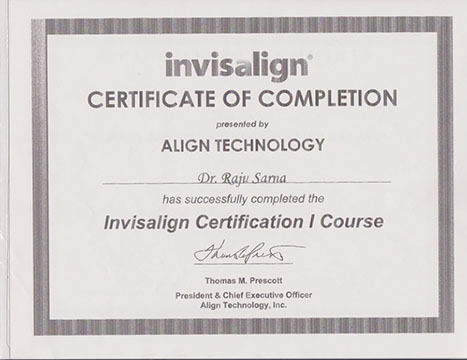 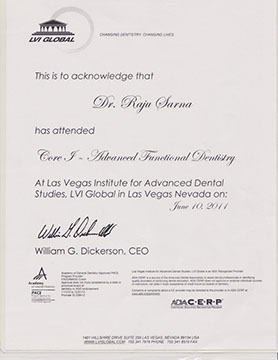 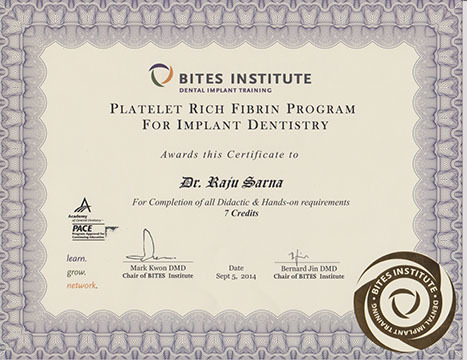 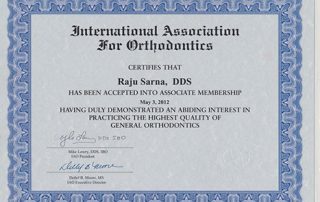 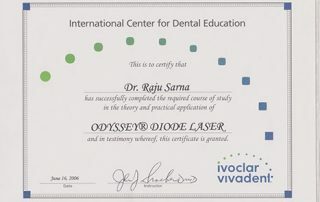 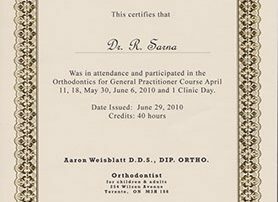 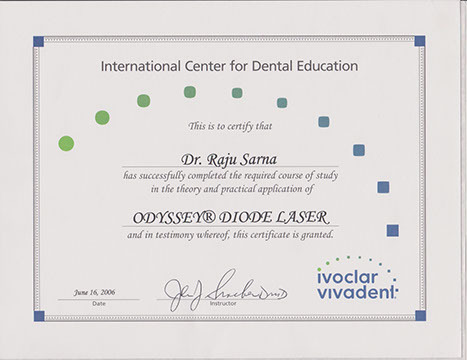 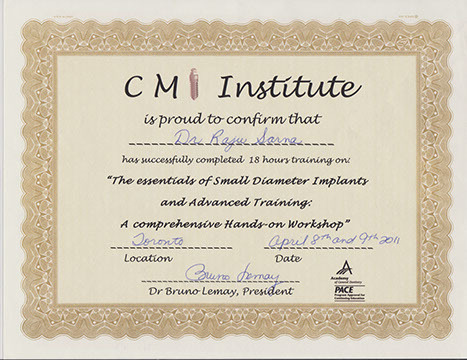 Having learned the skills necessary to help patients, Dr. Sarna has completed hundreds of hours of post education courses and seminars such as the Las Vegas Institute for Advanced Dental Studies (LVI), ImplantDentistry, Meisinger- high altitude bone management, Invisalign and Orthodontics, Laser Dentistry to name a few. 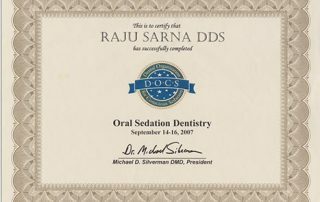 Patients are greeted with a smile by the entire staff and the office is dedicated to providing comfortable and personalized care. 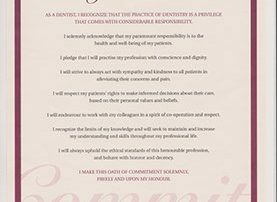 A generous amount of time is spent getting to know each patient, their needs, wants and special circumstances. 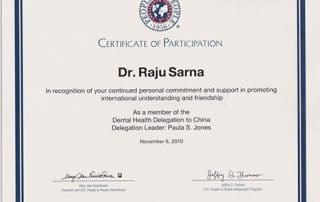 In August 2014, Dr. Sarna participated in a Mission Trip to Dominican Republic which Completed 1.5 million dollars in Dental Aid to under-privileged communities in Santo Domingo. 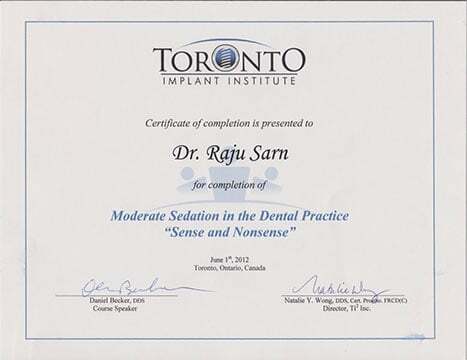 The Dentistry completed was exclusively Implants, Sinus lifts and Bone grafting. 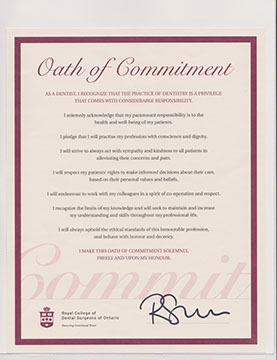 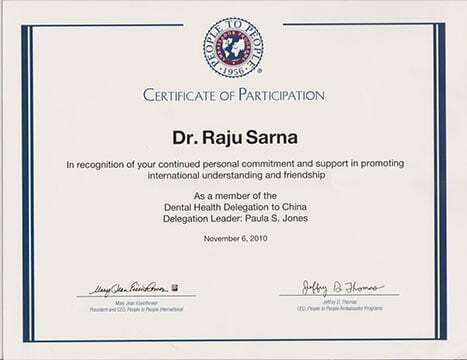 In November 2010, he became a Member of the Dental Health Delegation to China.